There really aren’t that many times in life when it is alright for an adult to dress up in costumes and parade around. However, during comic con season all over the world adults can throw on their favorite anime, superhero, or TV show costumes and pretend they are kids all over again. Some of these costumes look great, but not all of them. Check out these twenty cosplay costumes, and hopefully learn what not to do. 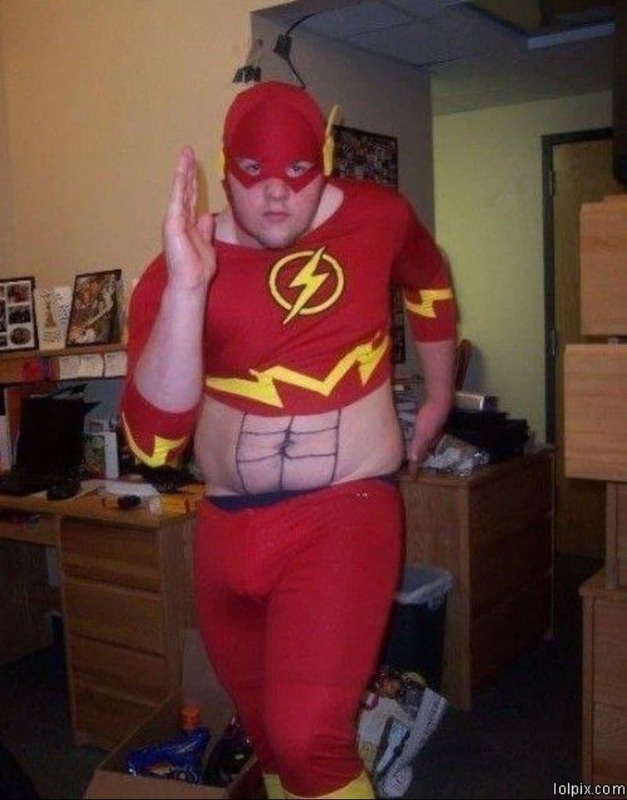 For one, this Flash probably should have shopped for a costume that actually fit him. It’s a good thing he has super speed, because it’s likely he’s not a fast runner without it. 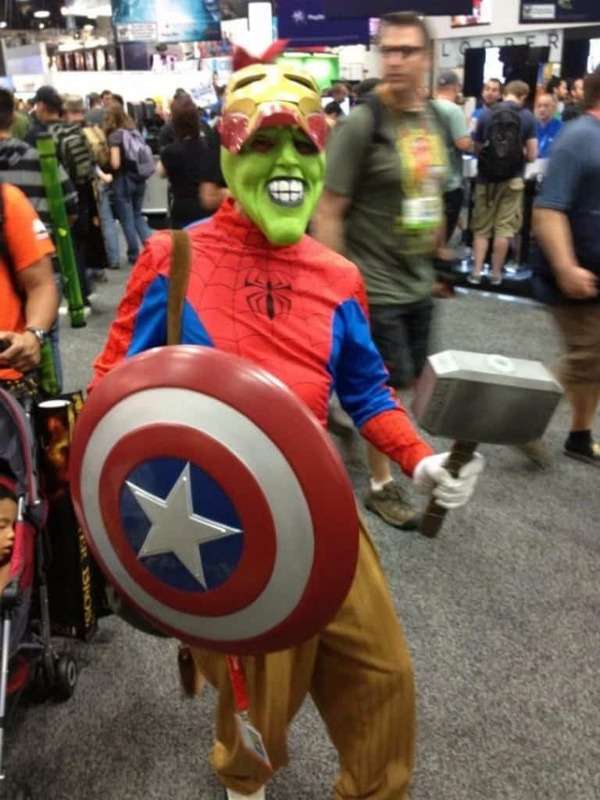 One of the things that is interesting about cosplay at comic con is that some people like to get creative and mash up their favorite heroes and icons. This mash up, however, if pretty frightening. If Thor saw this he might smite the guy! 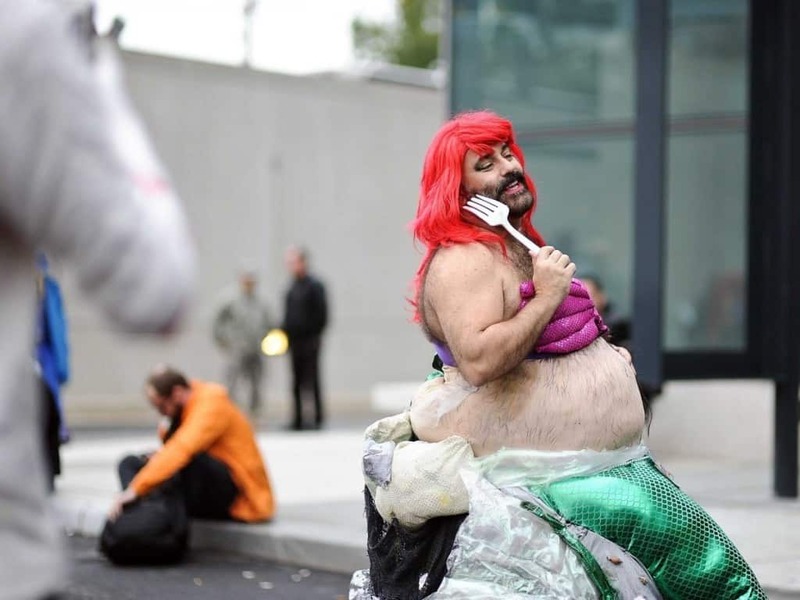 Ariel was once a beautiful young girl with big dreams, now she’s big and hairy. Props to this guy though, he seems to pull it off well! If you need what you are dressed up as in writing then it’s just a bad costume. You get it, right? 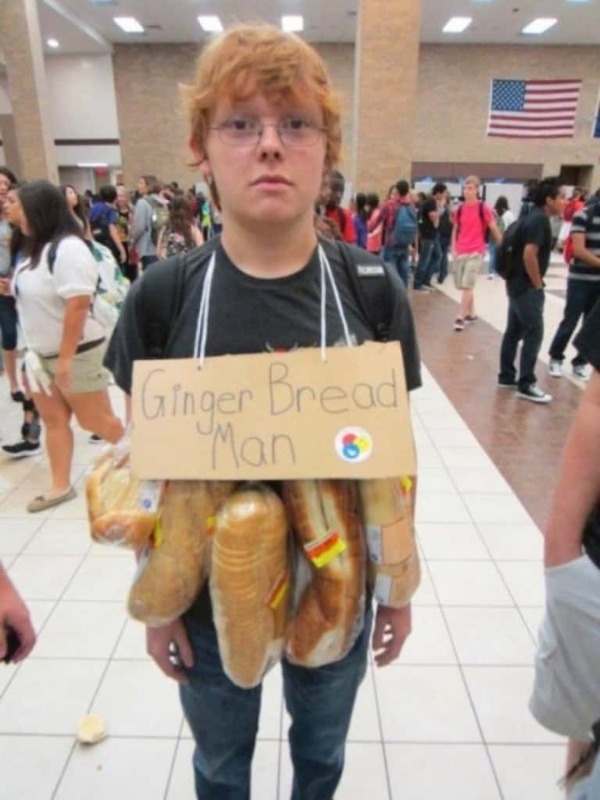 He’s a ginger, and he has bread? 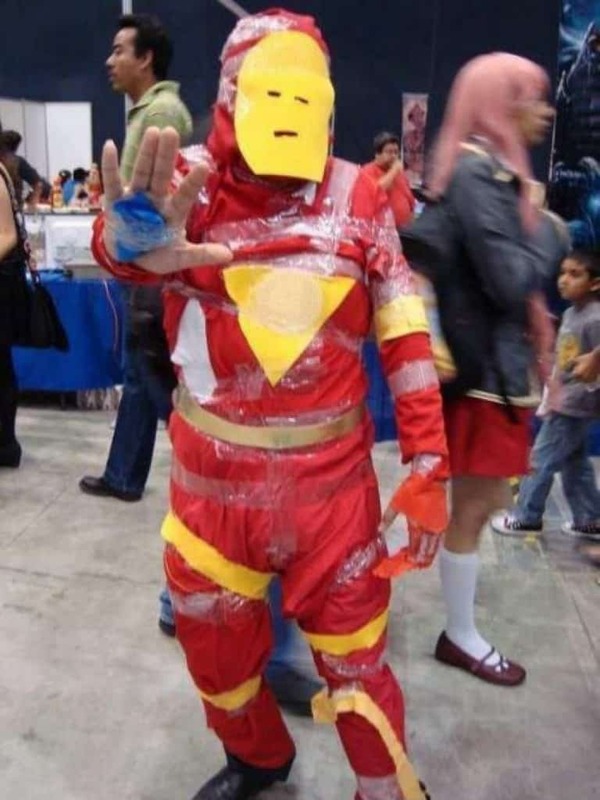 Iron Man wore a suit made out of iron, not cloth and tape. And that face mask? Oh my! This Iron Man won’t be protecting anyone with that outfit. 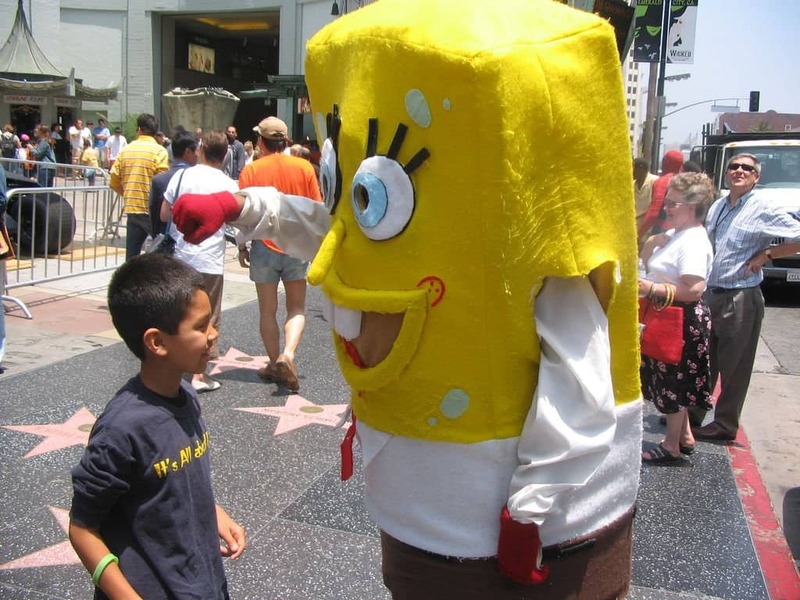 If this is what Spongebob really looked like it wouldn’t have even made it off the drawing board. Instead of children loving him — they’d all be having nightmares. A lot of men and women use comic con as an excuse to parade around half naked. More power to them. However, this look is just tacky. 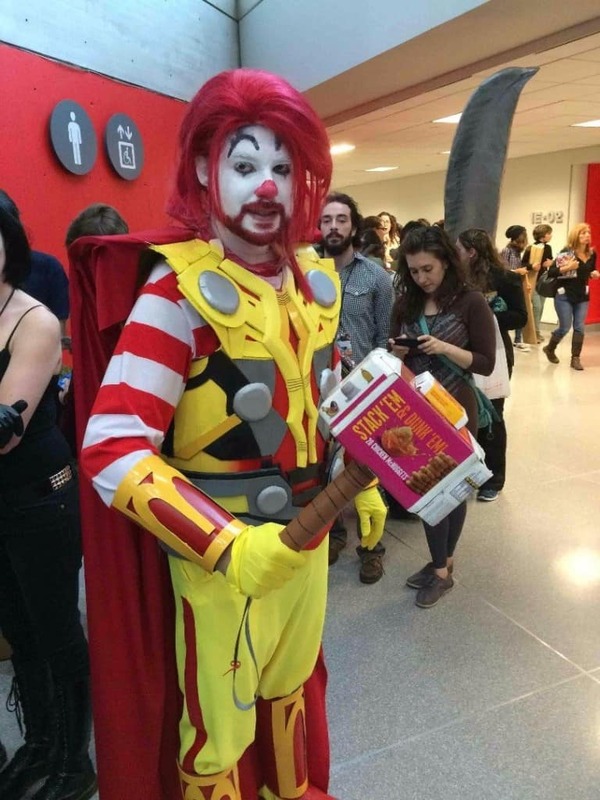 Where’s the creative costume idea here? Does she wear that Batman mask to the beach too? At a certain age your heroes should be real live action heroes, like Batman or Thor, not children’s characters. 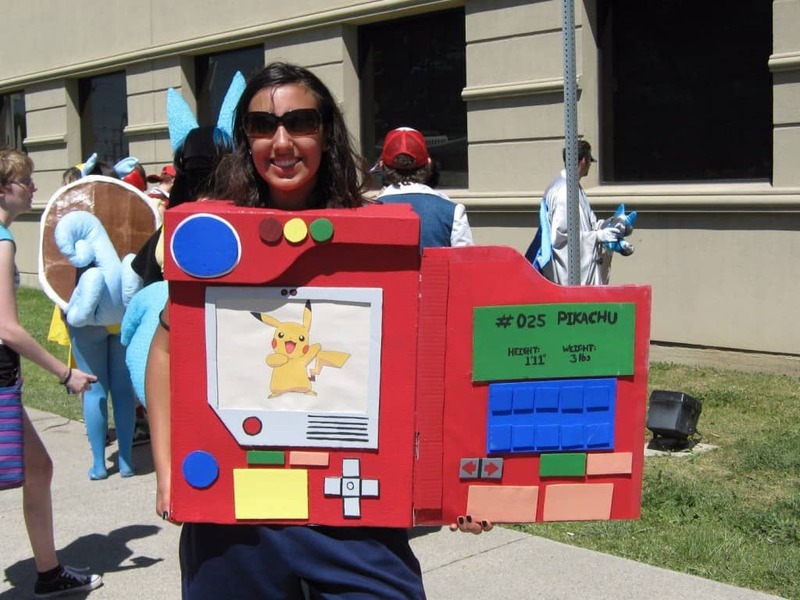 Save the Pikachu costumes for the little ones. This guy is showing you how they didn’t make the film. Is this a case of split-personality? 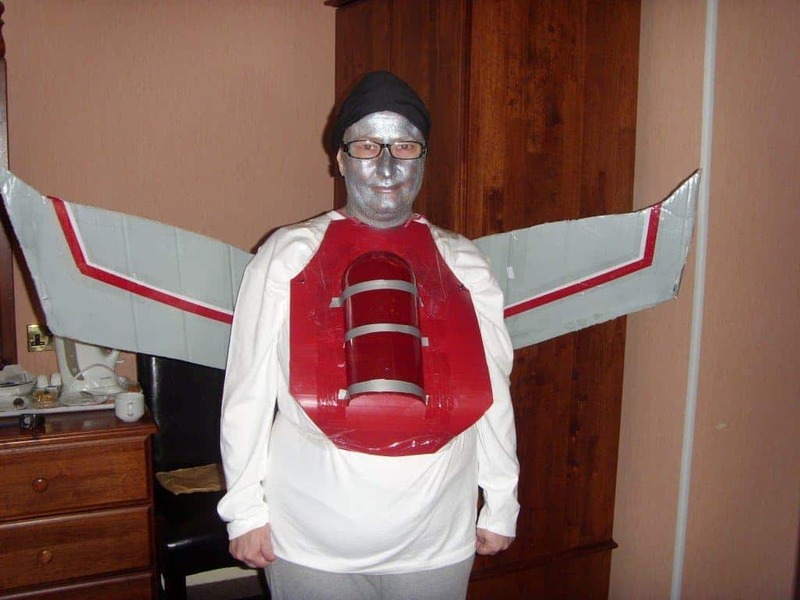 No, it’s just a really bad and disturbing cosplay mashup. Yep, that’s the Death Star. Still pretty scary. 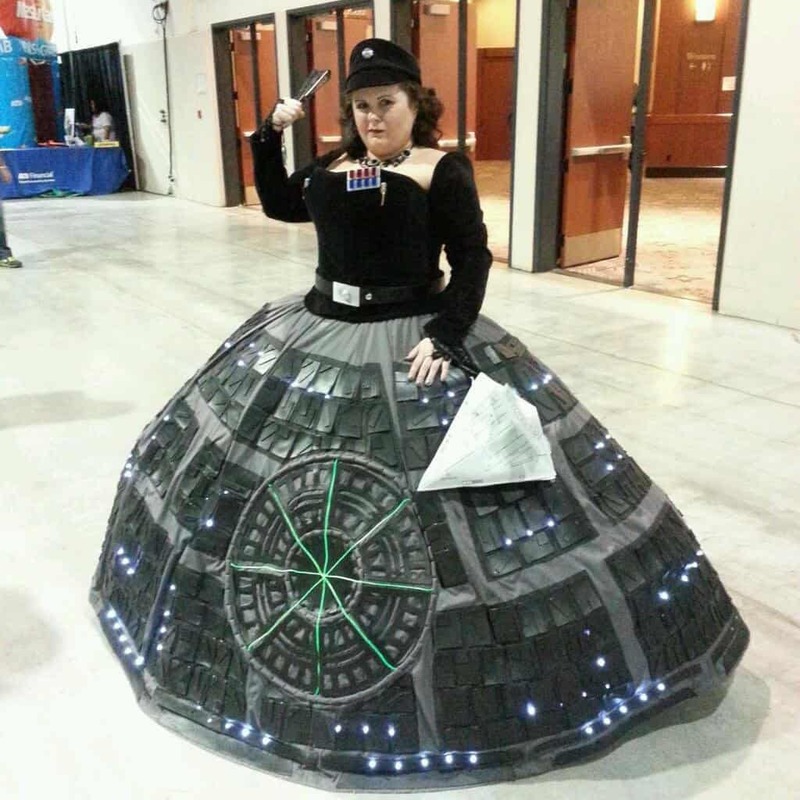 Is this Star Wars meets Dr. Who or something? It’s a bit confusing. 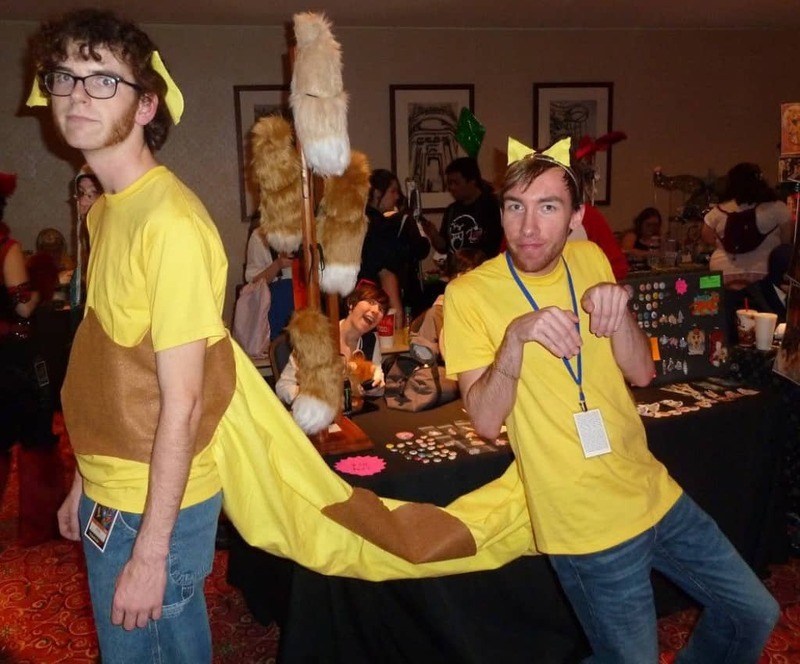 CatDog, a cartoon, is fun to watch, but these two put absolutely no thought into this outfit. In fact, it’s almost unrecognizable, aside from the fact that one guy is wearing cat ears and one is wearing dog ears. It’s really hard to tell exactly what this guy is trying to be. Luckily he seems happy enough in his costume choice that another person’s opinion just doesn’t matter. 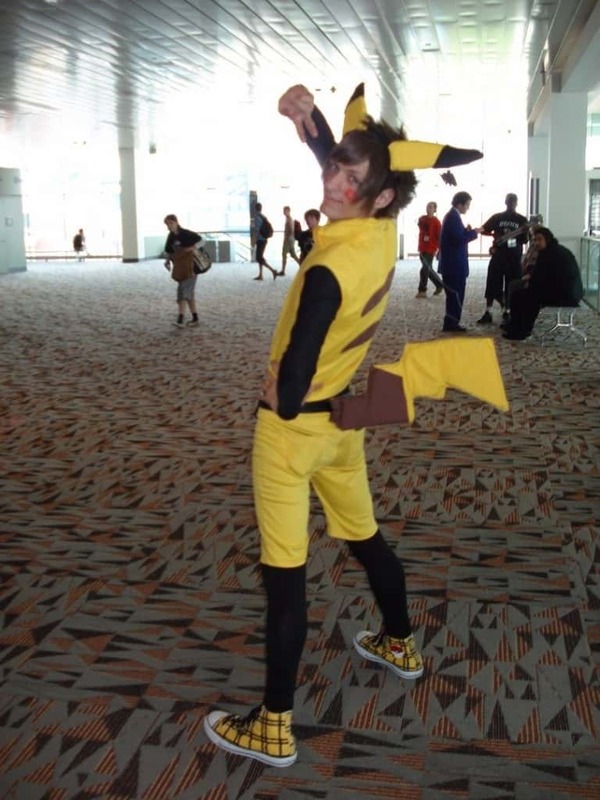 This person chose Pikachu. Pikachu may be the only Pokemon she has collected so far. There’s no way to know. Would You Ride On This Bus? 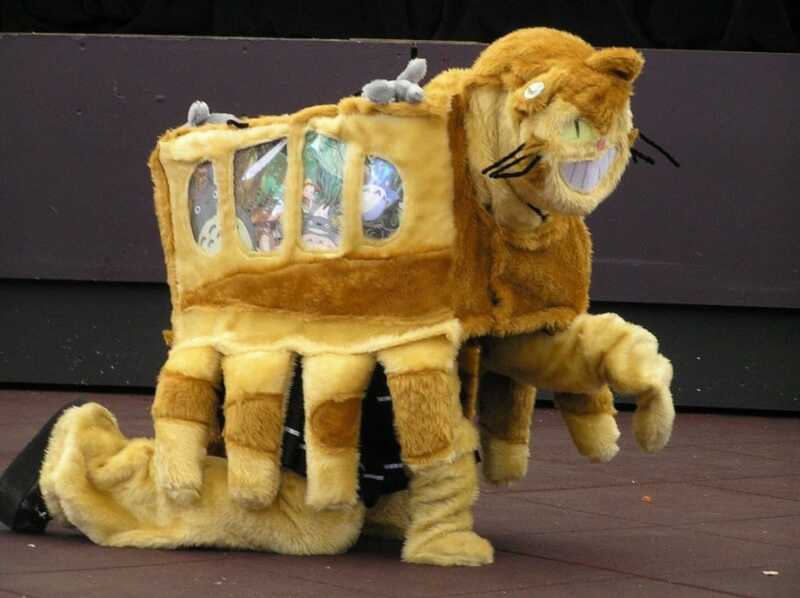 The Catbus. In this rendition it looks like someone cross bread the Cheshire cat with a bus. Anyone willing to get on better have insurance! Worst Star Wars… So Far. It gets worse later. But for now, enjoy the cheapness of these cosplay costumes. Hey, not everyone can afford authentic replicas! When On Doubt, Wear Everything! Green Goblin, Spiderman, Thor, and more. 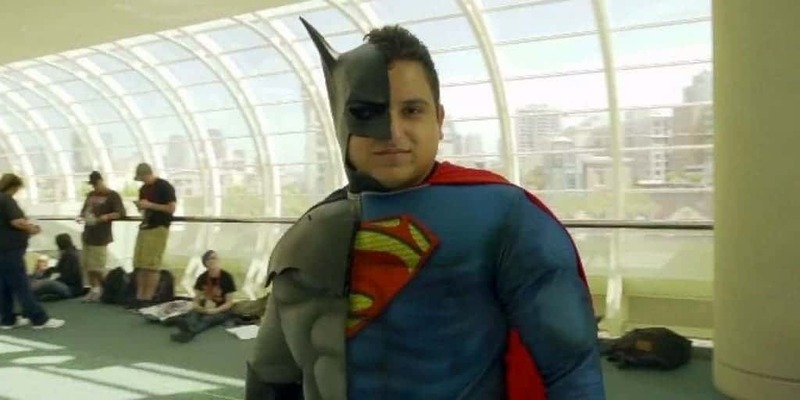 This guy didn’t know which costume to pick, so he combined them all! Is this ingenuity, or just plain laziness? 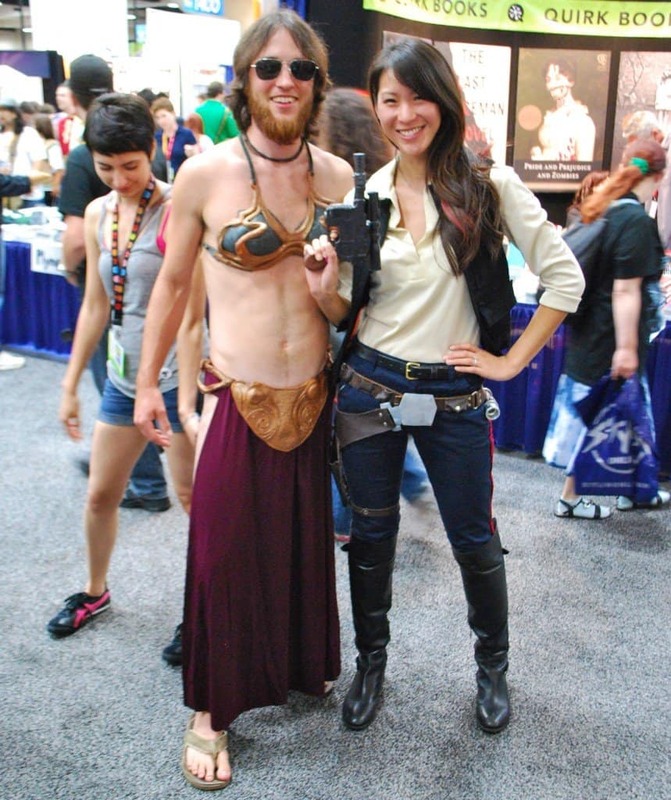 Swapping gender roles is a big thing at comic con. While the girl pulls off Han Solo well, the slave Leia is a little bit disturbing. He should have gone for the bun-in-hair look! Too Lazy To Put Some Thought In It? 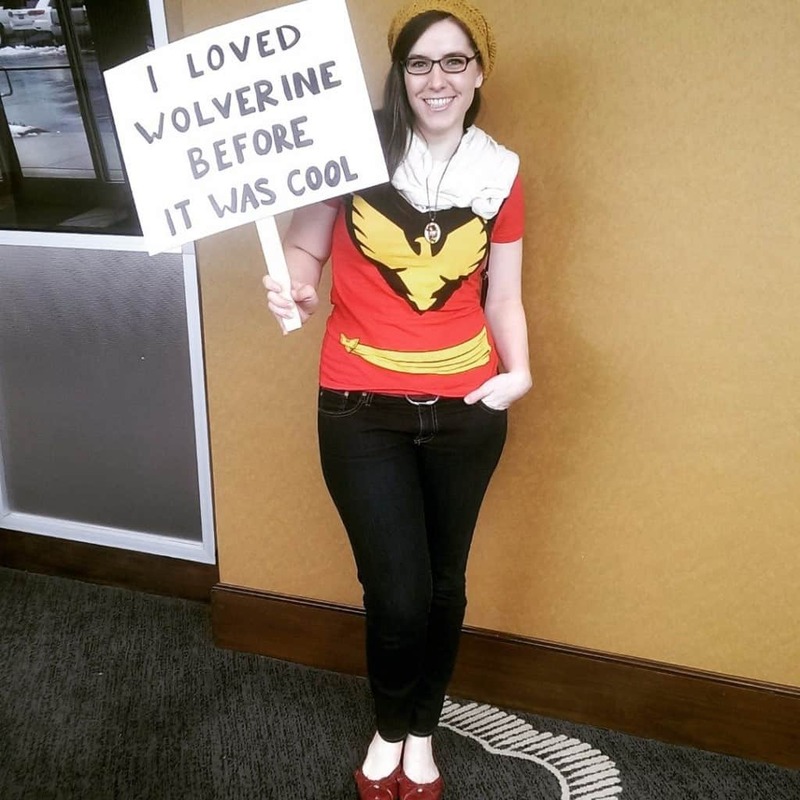 Just wear a t-shirt for one of your favorite superheroes and make a stupid sign to carry around. This Is The Worst Star Wars Ever! You didn’t even know it was Star Wars when you first glanced at the photo, did you? 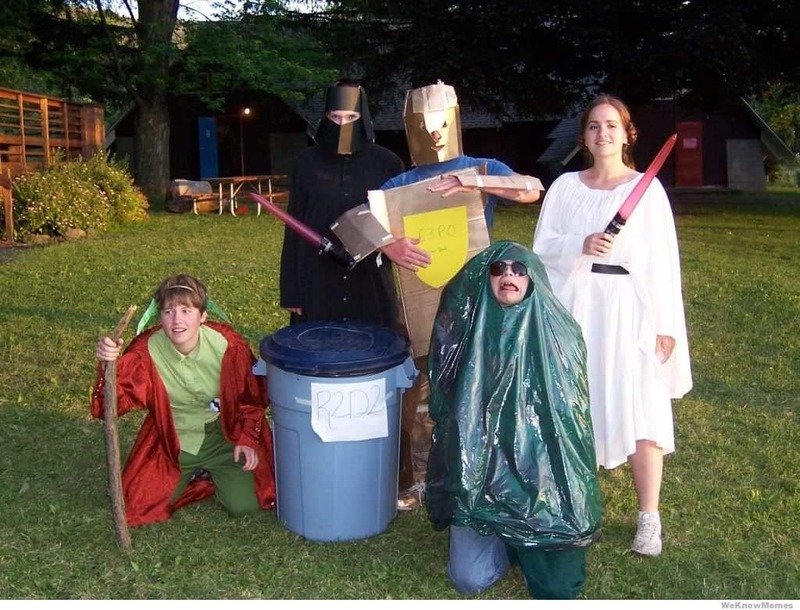 The best one is the trash can R2D2, so authentic. 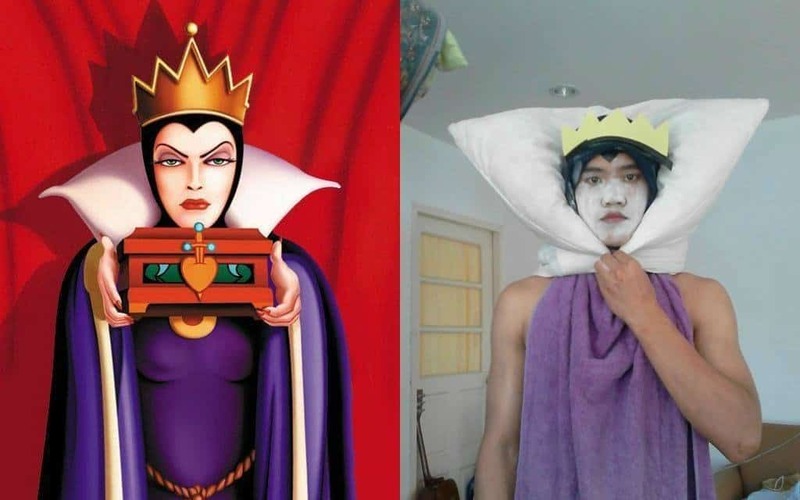 The Evil Queen is frightening in a much different way than she is portrayed here. I wonder how this person managed to secure the pillow around their neck? Maybe with a poison apple brooch?